Has anyone been able to successfully integrate Google Apps SSO (SAML App) with the built in sugar SAML settings? I've followed this documents instructions, but with little success. 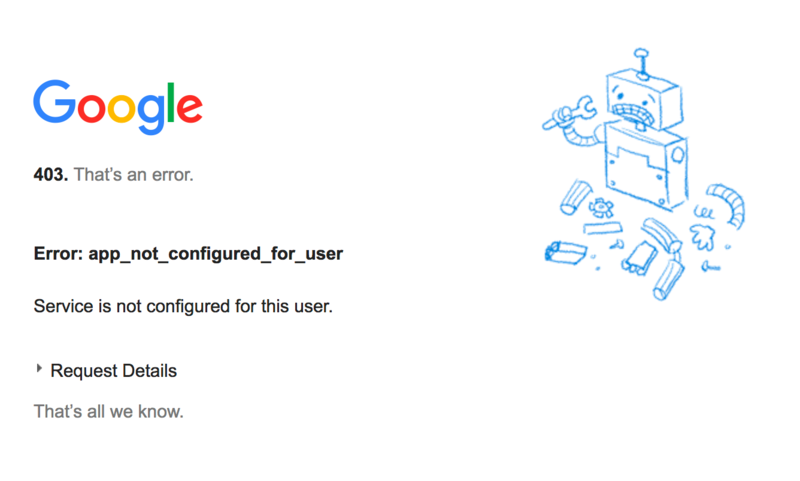 I'm receiving the following error from google after an authentication attempt: Error: app_not_configured_for_user from google. I've confirmed that the SAML application is enabled for the user, and that the app is 'live. I'm also trying this out with our Google Apps for Business - and I'm getting the same result. Did you manage to find a way of getting this to work?